AFOL with a very understanding wife and a massively out of control brick addiction. I hope I can add something positive to the forum. Welcome to the forum, Andrew. Welcome to the forum! I too am graced with an understanding wife -- huge help (although not to my wallet, haha!). Glad to meet you. This place is great, lots of friendly people here who will encourage you to expand your obsession collection. @FrothyCoffeeMan best username I've seen in a while! if there is anything I like as much as Lego its coffee! "Welcome, my lords, to Isengard Brickset!" :-) er, yeah, welcome! Black is great but consider a latte with raspberry syrup, a hazelnut macchiato, a black forest mocha or my own creation the after eight, a short black mocha with mint syrup. If I were a little closer, you might have my pocket change! Welcome, we'll help your addiction . . sure we will! I need all of those in my life, now! Mostly drunk by the pregnant, the insomniac and people prone to headaches and migraines. I have a customer that drinks a 16oz soya latte with a half shot of decaf. Every time she orders one, I say to her "admit it you don't like coffee, you just want to hang out with the cool kids"
Early coffee houses were stigmatized as dens of political agitators. Liberty! Fraternity! Jittery! @margot 4 shots in one drink? @margot That's what I'm talking about! I think that's equal to about 2 cups of coffee. Typically I only have one cup of coffee when I brew at home. It's really not that much caffeine or I would definitely feel it. I can't believe this thread got renamed! 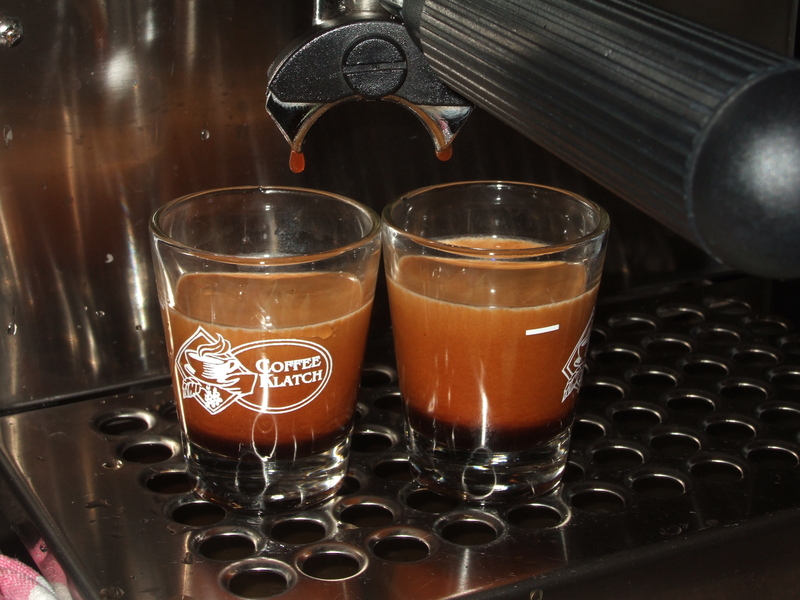 Luckily it's my business and the 4 double espressos required to rid me of the foulness that is soya were on the house! Currently in a Lego Death Star vs eccentric straight razor purchase dilemma. Similar costs, we have a small house so the personal hygiene, morning life or death scenario is currently winning over the "where are you going to put it?" 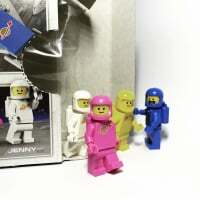 Lego reality. It going to be slightly harder to justify to HMRC and the accountant. And I would say - get the DEATH STAR! I did , and I've never regretted it. I'm in the hands of my long suffering wife on this one. 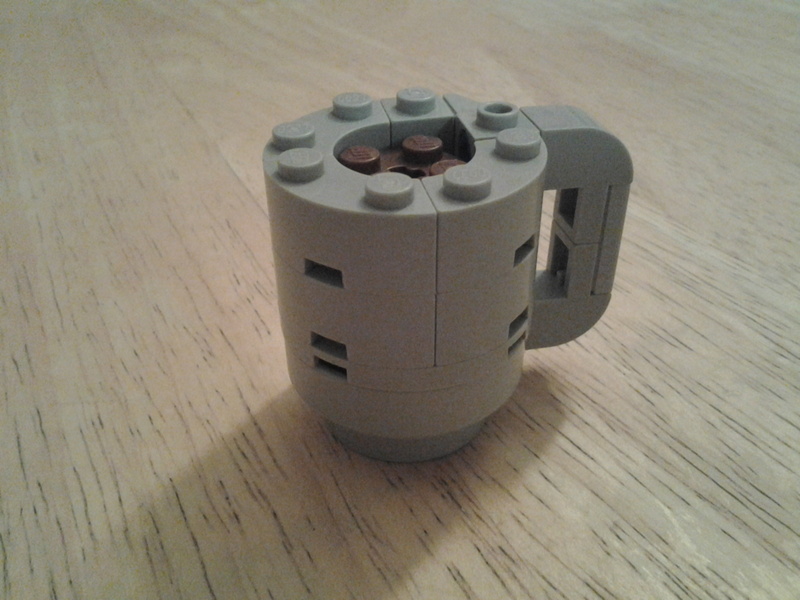 But is it too far for great coffee WITH Lego? Well I do love coffee, and I'm quite partial to lego. But which is best? Hopefully you weren't at a quickie lube type place because they always run that scam.. especially on women. Only a real AFOL has a dedicated coffee machine (no milk necessary) in his Lego-cave. Wouldn't that be a MOCha? 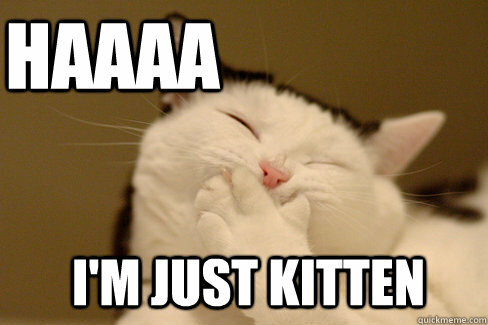 ^ Naah, that cat pic is sooo January the 13th. Cafe mocha, non fat, no whip, vente....every morning at 545am. But only the first two lines apply to me, I don't care for sweet coffee!